One of the most incredible things about Scottish Gin production is that despite the presence of producers all over the land, I can honestly say, there are no two distilleries the same. The Wee Farm is certainly one of the most unique, housed in a stone-clad steading in the middle of a livestock farm in Forth, Lanarkshire. 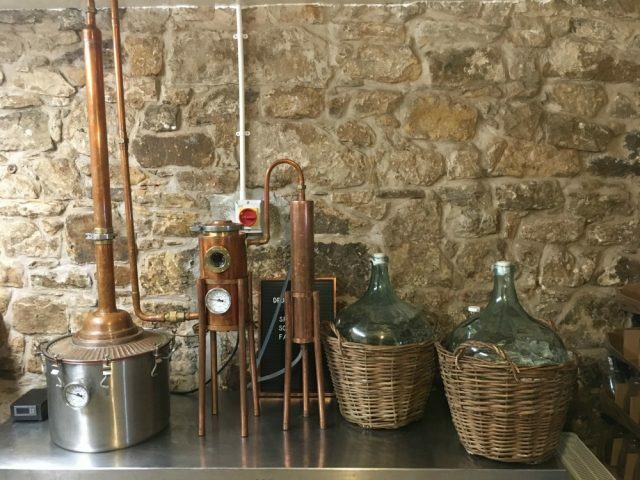 Jenny McKerr – inspired by her love of gin and one particular afternoon in One Square last December – started distilling Drovers Gin in April 2018. 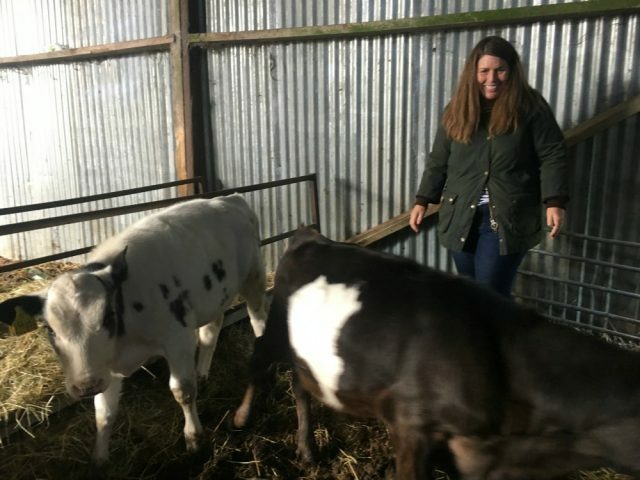 Jenny has a background in agriculture and is a real champion of Scottish produce and, particularly of women in this field (no pun intended). After 13 years working in meat production and having had child number 3, Jenny has embarked on this exciting new chapter. shorthorns, to calve Wagyu, it makes perfect sense. Drovers Gin is made on Morag a lovely copper 30litre still using the lucky number of 13 botanicals. Due to the topography, Jenny is limited with the botanicals to hand apart from heather and thistles but is working closely with a local horticulturist who is growing botanicals for the Wee Farm Distillery. The whole ethos behind Wee Farm is to work with and support local businesses. Jenny is also a massive rugby fan and Drovers Gin has a Doddie Weir limited edition gin of 200 bottles to support the fantastic My Name’5 Doddie Foundation to research treatment for Motor Neuron Disease. 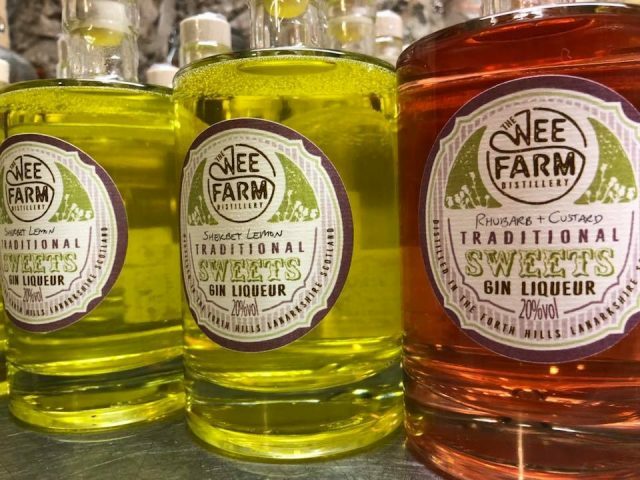 The product range now includes Wee Farm Heritage Gin Liqueurs. 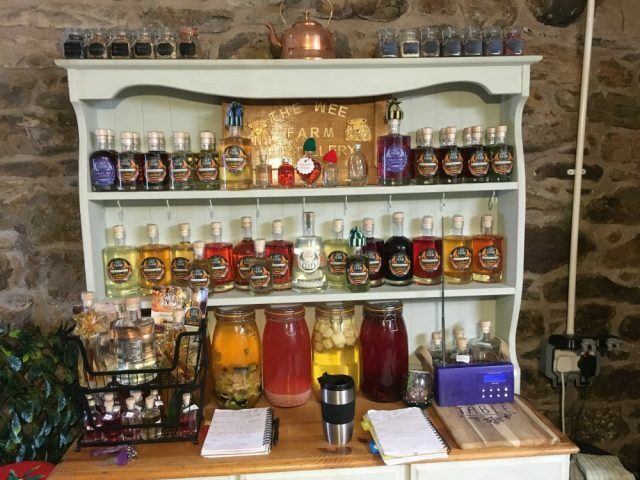 The liqueurs are made using local fruit and not so local – think pineapple, pomegranate and ginger to name a few. Ever experimenting, she is now trying it with sweets! Yes, sweets, strawberry shoelaces and jelly babies are macerating in Kilner jars, and the smell takes you back to when you would go to the shops with your pocket money and get a 10 penny mix. There are also plans to produce another Drovers Gin – which we will keep you posted on. As much as Jenny is supported by her family, she does pretty much everything herself – distilling, product development, bottling, marketing and distribution. She has achieved so much in such a short time, exceeding her own expectations. Oh, and did I mention that she farms on top of this, I had to ask her when she gets any sleep? With a shrug and smile, it’s only a few days a week she gets up at 0430.
excitement, especially as the heifer was about to give birth. You could say this was one of the more unusual distillery visits, but in a good way, as I sit smiling away to myself at the memory. Light, refreshing, citrus with a hint of heather. A well-balanced blend of zesty orange and gentle spices resulting in a smooth, crisp gin. Serve with tonic, ice and a slice of grapefruit. On the finish: spicy with pink peppercorns and allspice, yet with citrus orange that really opens up with tonic, making a very moreish G&T. This is a gin that can be enjoyed either long with a mixer and ice, or savoured neat. Look out for the Wee Farm Open days on their Facebook page or website.